On their studio first outing in three years, Germany's seemingly eternal Scorpions keep the sound a perfect balance between nu metal guitar crunch and '80s heavy metal melodies. Humanity Hour, Vol. 1 is a worthy if not utterly successful musical follow-up to 2004's Unbreakable -- a record that saw the band coming back to its strengths after a long bout of wandering about in the creative desert. Humanity Hour, Vol. 1 is a collaboration between the band and co-producers James Michael and Desmond Child. What's more, there are a number of special guest appearances, such as Eric Bazilian playing guitar on the track "Love Will Keep Us Alive," and Billy Corgan making a vocal appearance on "The Cross." Musically, while all the Scorpions' strong points are in evidence here, some of their conceits are as well -- they were absent on Unbreakable. Not recorded live in the studio, there are some orchestral spots on some of these cuts, but at least they don't result in the aimless and pretentious experimentation that marred many of the band's records in the late '90s and early 2000s. The title track opens the set with a bombast of drums and true Euro-metal guitars in full-on riff mode. Klaus Meine's vocals are still up to snuff so he has no trouble getting inside the big riffs. The sheer power of the guitars and thudding kick drums and tom-toms is a little offputting; it feels like an outtake from Unbreakable -- this is a good thing -- and gets things off to a roaring start. Both "The Game of Life" and "We Were Born to Fly" are more reminiscent of the band at the height of its '80s power. Extremely hooky with big compressed guitars, they're loud and hummable with melodies most bands of that era would have given their eyeteeth for. The taut line between pop excess and heavy metal power drive is walked with relative ease, and the choruses in both songs are truly transcendent. "The Future Never Dies," with its acoustic piano and long drawn-out melody is a power ballad that goes nowhere, unfortunately. But the big crunch returns on "You're Lovin' Me to Death," which is full of dual lead guitar lines by Matthias Jabs and Rudolf Schenker. "321" is full-on Euro-metal without a real hook, but it's so huge it hardly matters. It feels more like a slow Iron Maiden track than it does the Scorpions until you get to the refrain, of course, then it's got the foot-stomping infectiousness of the band's own material with a touch of Def Leppard thrown in. 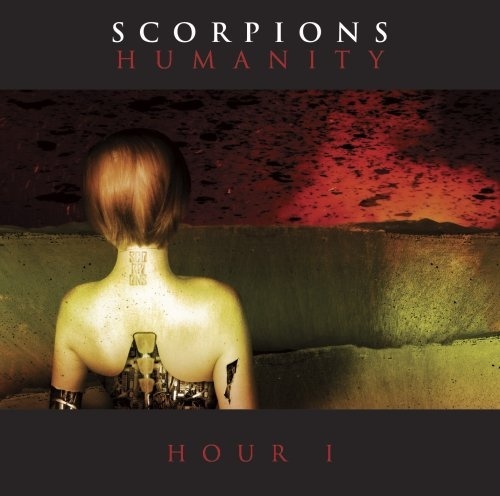 The middle of the record bogs a bit here, with a number of ballads all tossed together, but the Scorps redeem themselves on the set's final two tracks, "The Cross" (with Corgan) and "Humanity." Out of 14 cuts, ten are utterly solid, one walks the line, and three simply don't cut it. Child is a curious choice as a producer on first listen, but given the sheer singles power of a number of these cuts, it makes perfect sense. This is the disc that deserved an American issue, since radio needs the Scorpions more than the Scorpions need radio at this point.